The Apple Valley Lake community is a pre-planned residential and recreational community with an emphasis on the lake and outdoor fun. It is located in Central Ohio about 50 miles northeast of Columbus. Apple Valley Lake is over three miles long and covers about 511 acres. Both power and non-power boats are welcome and there is plenty of room for jet skis and water skiing. 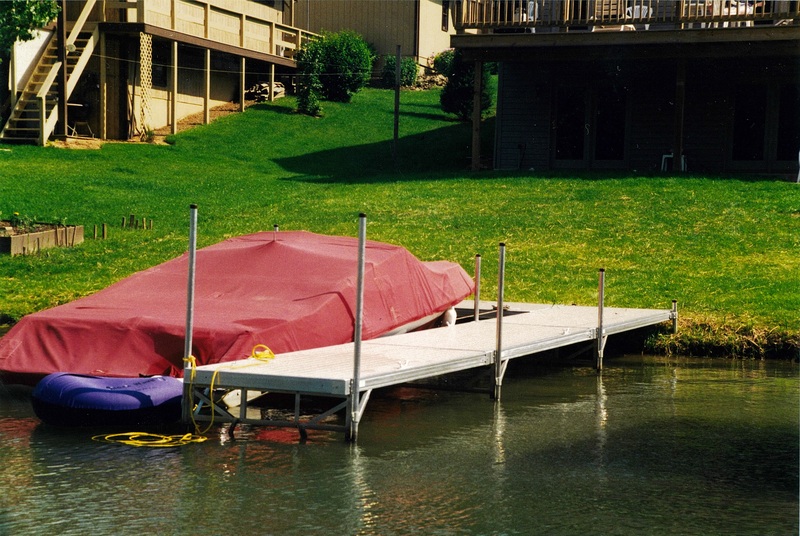 Metal Craft Docks wants you to enjoy the beautiful waters by providing Apple Valley Lake docks and lifts for boats, jet skis and more that require minimal maintenance and decades of hassle-free use. For over 45 years, Metal Craft Docks have been an approved aluminum boat dock by the Apple Valley Property Owner’s Association. Metal Craft Docks were purchased in the 1970’s and are still in use today with additional sections added at Apple Valley Marina. With minimal maintenance, Metal Craft Docks feature all aluminum construction with a superior non-skid, baked poly acrylic aluminum decking ensuring boaters safety as they enter and exit watercraft. Stationary aluminum docks are the preferred choice on the lake due to the minimal water changes throughout the season and are available in one of three deck colors. Contact Beaux Hord at Apple Valley Marina for details about dock restrictions and guidelines on Apple Valley Lake. Metal Craft PWC or jet ski lifts are the most popular choice on Apple Valley Lake. Our jet ski lifts feature all aluminum construction, cantilever design, galvanized cables and a 26″ Lorenz winch wheel. Personal Watercraft and boats are investments that you’ll want to protect from the elements. We offer two jet ski models able to lift 850 lbs. up to 1200 lbs. Metal Craft also manufactures aluminum boat lifts to accommodate up to 5,000 lbs. Metal Craft lifts feature all aluminum frame construction with adjustable legs and a deep “V” design for shallow water access to the lift. A popular choice is the pontoon or tritoon upgrade and an electric winch motor allowing you even more time on the lake! The Apple Valley POA has watercraft size restrictions. It’s important to know before making a purchase which Metal Craft lift is appropriate or allowed by the Apple Valley POA. Stationary dock on Apple Valley Lake. Apple Valley POA and Apple Valley Marina have been long time users of Metal Craft aluminum docks dating back to the early 1970’s. 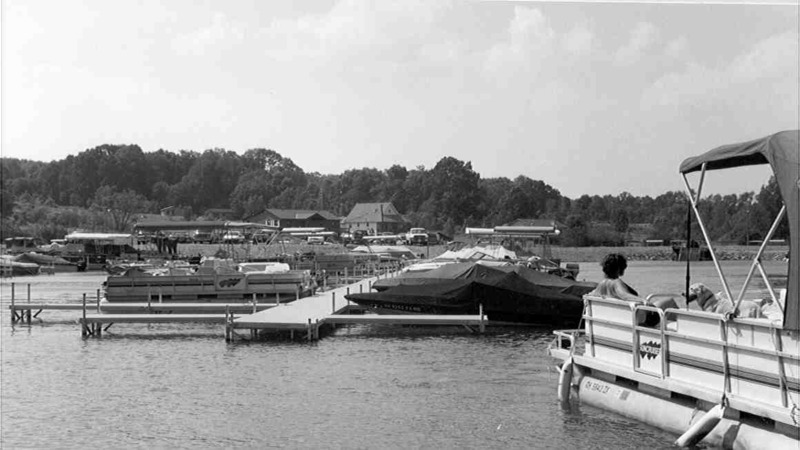 Marina floating and stationary docks can be seen in action on Apple Valley Lake. You will find many of the dock sections to be the original models purchased nearly 50 years ago! We encourage you to contact the POA or the marina at 740-397-4508 to discuss how you to can enjoy the luxury of a Metal Craft Dock!